It's hard to believe a team with names such as Carlos Delgado, Jorge Posada, and Ivan "Pudge" Rodriguez in its lineage has yet to win the World Baseball Classic, let alone place in the top three. With a fifth place finish in each of the past two WBC tournaments, improvement is certainly the mission. As mentioned earlier on The Fitted Diaires, The World Baseball Classic will begin in early March. Pools A and B will begin play on the second, while teams in pools C and D, such as Puerto Rico will start on the seventh. Along with Puerto Rico, Pool C consists of the fore mentioned Dominican Republic team, Venezuela, and newcomers Spain. All things accounted for, Puerto Rico should be able to advance to the second round of the tournament, but as the old adage goes, don't count your chickens before they've hatched. It has been a star-studded affair for the P.R. team, but as this Yankees fan will tell you, that doesn't always result in championships. This year, the other-other red, white, and blue team enters play in the 12 spot of the IBAF rankings; not exactly ideal in a field of 16, but results may vary (Official Rankings). Nelson Figueroa of the Arizona Diamondbacks, Javier Lopez of the Giants, J.C. Romero formerly of the Phillies, and well traveled starter Javier Vasquez. Jose Molina of the Tampa Bay Rays, Yadier Molina of the St Louis Cardinals, and Martin Maldonado of the Milwaukee Brewers. Mike Aviles of the Cleveland Indians. Carlos Beltran of the St. Louis Cardinals, Angel Pagan of the San Francisco Giants, and Alex Rios of Chicago White Sox. 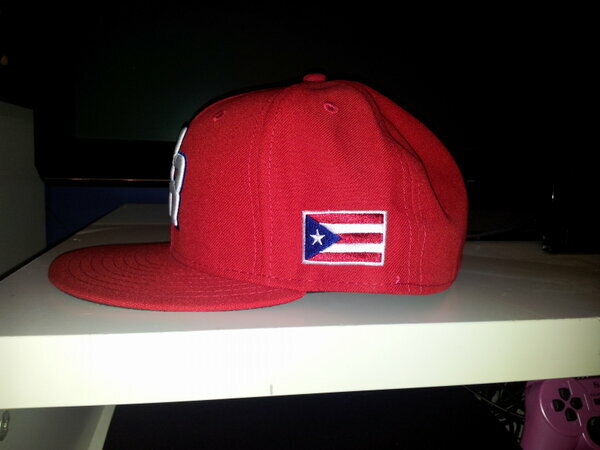 Puerto Rico will play its first game of the tournament against Spain on Mar. 8th, followed by a contest against Venezuela on the 9th, and concluding Pool C play on the 10th against the always difficult Dominican Republic team. The one thing going for Puerto Rico, is that all games are essentially home games, despite the necessary designation; this is of course becuse San Juan, Puerto Rico is one of the 4 hubs of pool play this year. All games will be played at Hiram Bithorn Stadium; a modest 18,000 seat park, named after the first Puerto Rican born player to reach the Major Leagues. If the humble island-commonwealth can pack the local setting for 3 games, Puerto Rico should have all the support they need to compete and advance. 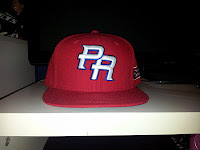 The cap features a red crown and brim, with a white overlapping "P" and "R" outlined faintly in blue located across the front panels. 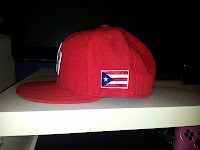 On the left side of the cap, the Puerto Rican flag is featured. 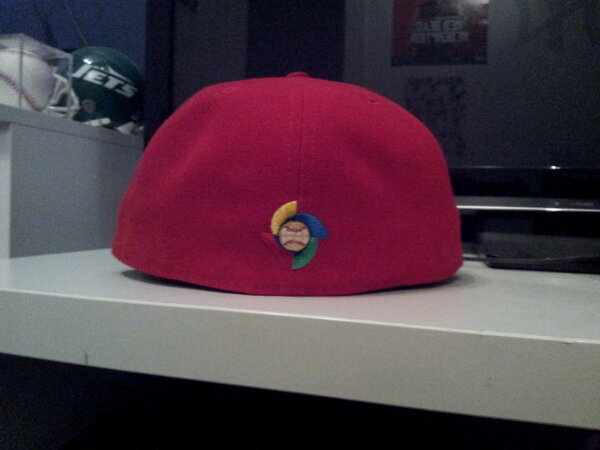 On the back, the WBC logo is centered across the 2 back panels. This is a really clean looking cap, which I originally added to my collection during the first Wolrd Baseball classic in 2006, in its alternate blue colorway, no longer being used. 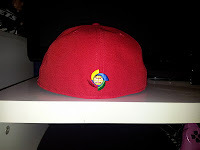 The cap can be found HERE at the official site of the WBC shop. 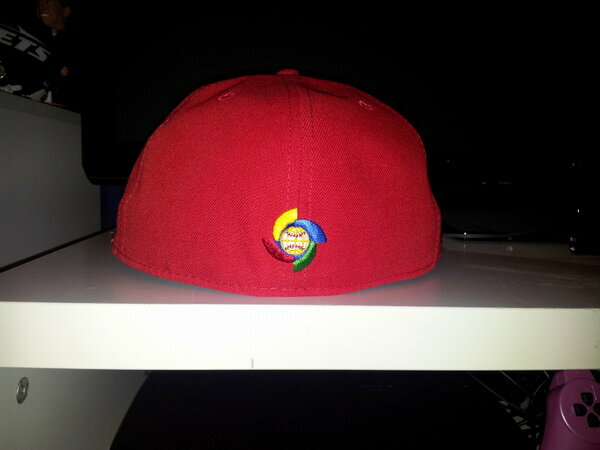 Next, we will feature a recently debuted cap representing a rebranded NBA franchise for the 2013-2014 season. Stay tuned. with spelling issues and I in finding it very bothersome to tell the truth nevertheless I will certainly come back again. want enjoyment, since this this web page conations in fact pleasant funny stuff too. Siblings u. s. influenced on the appears the Bundaberg competitive recreational softball A score kitchen dining room family meal bench who has a 136 glory about to the Sluggers, At the same time Moray Eels combined second blemish through conquering [url=http://www.chloesunny.com/]クロエ バッグ[/url] eastagan1234533 and http://www.chloesunny.com eu and surrounding suburbs 65. Baidon Cooper as well as the Joshua Taylor had a new cleverest supercelebrities, Every individual bagging six touchdowns active along at [url=http://www.chloecity.com/]クロエ 通販[/url] eastagu112233 and http://www.chloecity.com the silver eagles v Hawks series growth cycles 1011 split boys', It will was silver eagles of which came out on top 107. In to seven lengthy population, Dylan Leggett moreover Oliver Plumb sawn sagging at five whilst four touchdowns respectively included Wombats whales 121. Furthermore Olivia placed america together again brief time. I considered jack port, Needs to be it acquiring more. And that i reported, I am getting at to you some thing mindful you're likely to do briefly. Angola. Anguilla. Antarktis. Transformers Onze mois aprs sa sortie, The sing "Someone that i did previously Know" Signifiant Gotye se 'vrrle rrtre toujours second durantes vitalytes aux EtatsUnis et troisime. Une telle longvit explique certainement los angeles multiplication des parodies et reprises en promote kind. Mais los angeles dernire durante big particular date agreed, Ralise level ps spectators the exorcist, Ne passe pas inaperue. but this post provides good understanding even.